More happy moments from Capri - It is such a breathtaking Island, there is so much to see! 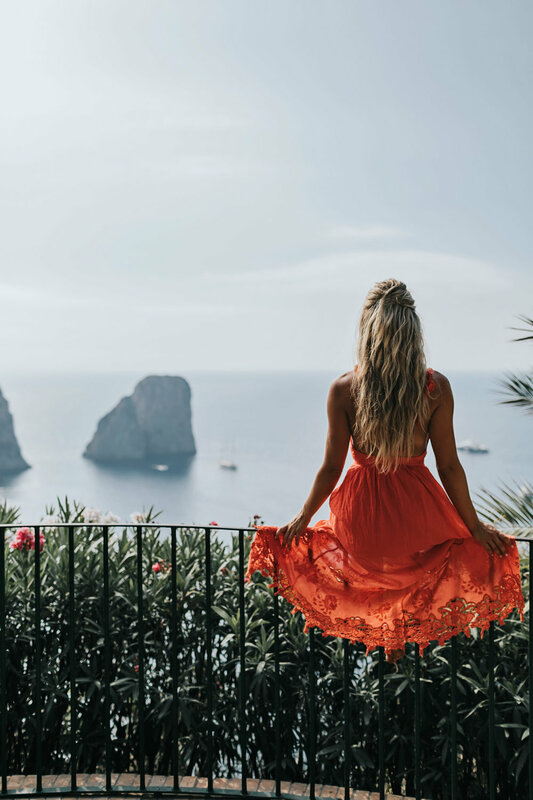 We stayed on the Anacapri side at the beautiful Capri Palace Hotel -It was the perfect location (the views were breathtaking!) and it was close enough to walk to tons of little restaurants & shops. Their pool was also so relaxing, and Allison & I definitely spent an afternoon recharging there. 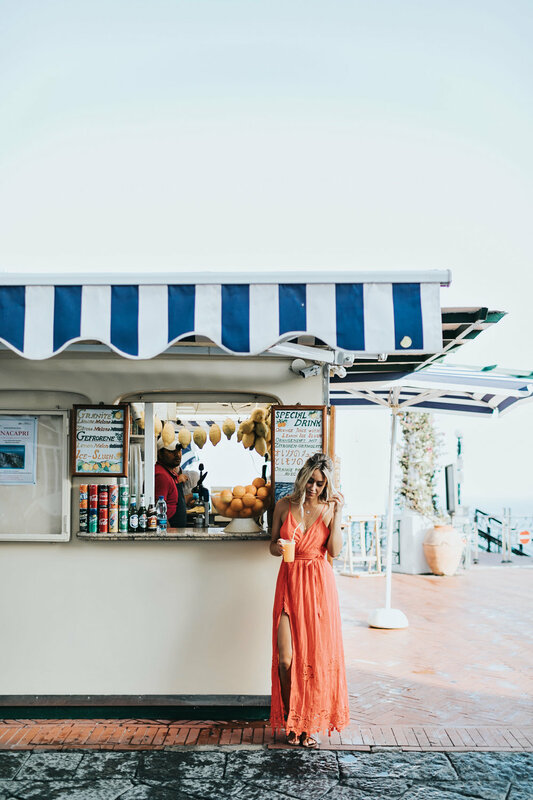 We also explored the other side of the island the Capri side, and one of my favourite things to eat in Europe is fresh squeezed orange juice, and in the Capri town centre there was the best juice stand, although they are scattered all around the island, you can't miss them! It is so nice to be able to have fresh juice, such a treat. The coolest thing about getting around the island? The taxi's! They are all huge cars with canvas roofs and the drivers are so talented, the road that gets you to either side of the island is windy and goes up a cliff where there is a tiny metal barrier between the road and the edge and that is it! It is also super skinny, so sometimes bigger cars have to pull over to let another one by, and pretty much all of the cars have marks on the side from bumping other cars. It gets your heart beating, that is forsure, but the view from the road in the open taxi's are worth it! 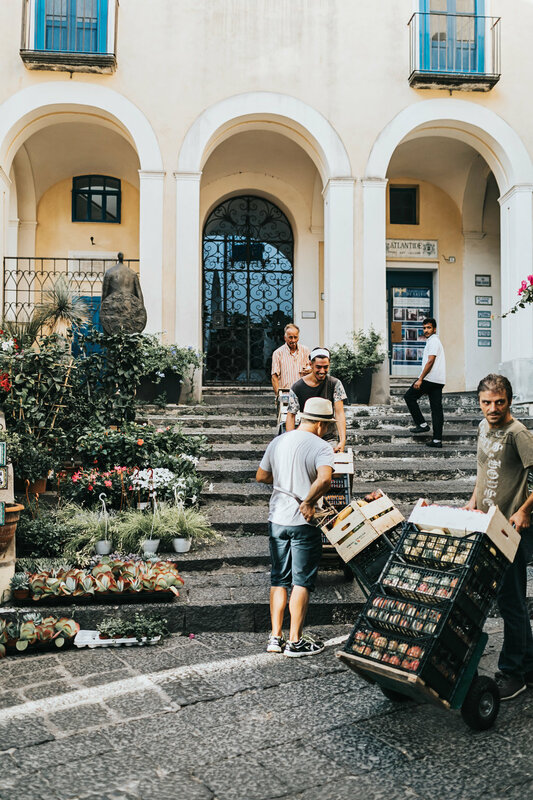 There are many winding streets in Capri that no cars are allowed on, so it makes it really nice to just wander and explore. Another European favourite? Fresh fruit & vegetable markets! We passed one that was especially beautiful, bursting with fresh garlic and chilli peppers and oranges and nectarines and pears - Everything your heart could desire, right there in a tiny shop on a little street. 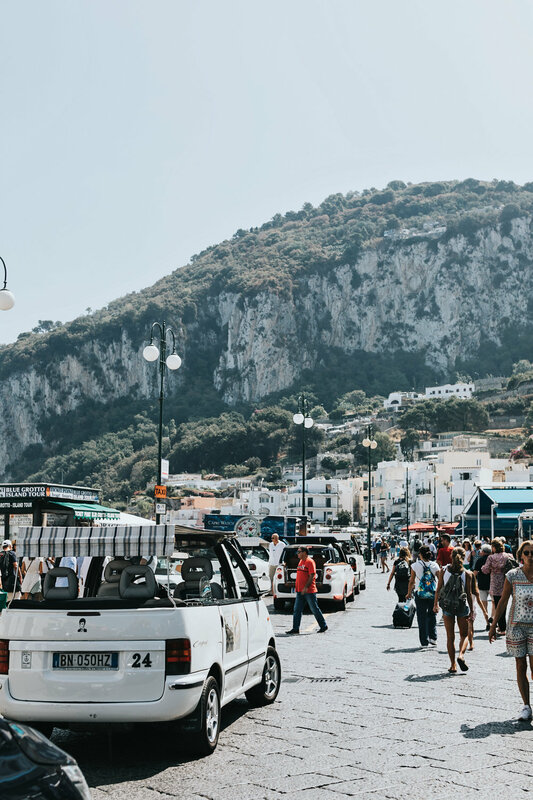 Capri has definitely stolen my heart - it is a place I will try to visit many more times, it is so full of beauty and is a place that just makes you feel alive being there.